Guardian Hunter: SuperBrawlRPG - Moving action Super brawl RPG "Guardian Hunter" open! It's A.L.I.V.E! Hunt all the monsters in Bellia and turn them into my 'Guardians'! ● Play it light or fast! It's the L.I.V.E. action. Don't give up on 1 or 3 Star Guardians! Evolve them! 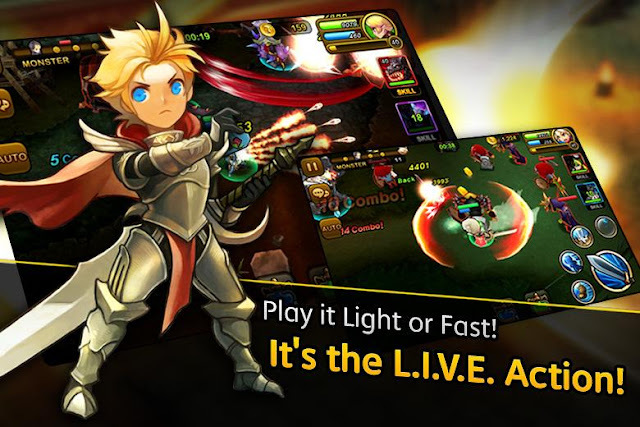 Guardian Hunter: SuperBrawlRPG: Install APK and Play Game!